For some of you, this movie might not be a recent feature, since it was released about two weeks ago in limited release. But alas for us folks here in Singapore, it only started showing this week. I rushed to watch it on opening day, just for you lovely people who visit MovieBabble. Don’t you feel special? I was also eager to watch the movie, mainly due to my love for Timothée Chalamet. Ultimately, it is a decent, heartfelt film, and while I enjoyed it, and acknowledge the importance of the creation of such movies because of the subject matter it explores, it is lacking the distinct quality you just recognize when you are in the presence of a really great movie. 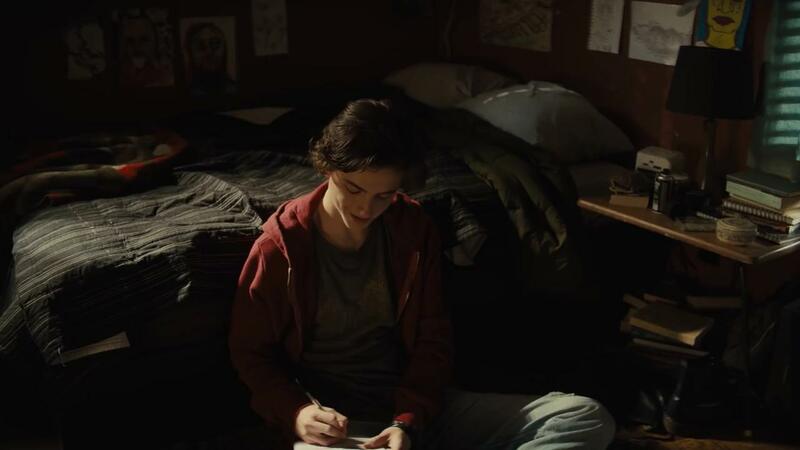 Beautiful Boy chronicles the heartbreaking experience of drug addiction, and a family’s attempt to understand and deal with the disease. 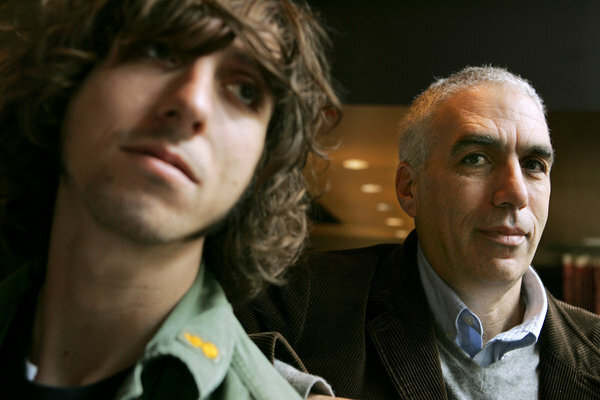 The movie derives its source material from the memoir of the same name written by David Sheff, and the companion book to that (entitled “Tweak”) by his son Nic Sheff. Reading both these books was an eye-opening experience for Groeningen, since he has experience dealing with addiction in his family. He has seen how it has impacted his family, and how sometimes families react by turning to tools to help them solve this, tools like rehab. But there is an unpredictability to the effectiveness of such tools. Hence, he wanted to showcase that sometimes solutions don’t always do what we need them to. Groeningen, who was nominated for an Academy Award for his previous film Broken Circle Breakdown, loves to explore films that celebrate life through the experience of an ordeal, and then the pushing pass this ordeal, to emerge stronger on the other side. He finds it to be a cathartic experience, which explains his choice of the subject matter that Beautiful Boy explores. I think positive father-son relationships are rarely explored in film, with the movie In Time the only one I can think in recent years to have done so. The fact that father and son are so close makes the ordeal even harder to bear, since we don’t quite understand why Nic (Chalamet) goes so deep into the world of drugs in the first place. Despite having parents who are divorced, Nic is never made to feel alone, always cared for by his father. A particularly beautiful sentiment is how they greet each other or say goodbye with the word “everything”, because David told his son when he was young that he loved him more than everything. So why does this happen when he has always been so close to his father? They even share a joint at one point, demonstrating that he can really go to his father for anything. Nic mentions later that his addiction was his way of treating his problem — his feeling of some void and emptiness within himself, that he seeks escape from. We see glimpses of this blankness at moments, when he interacts with his girlfriend’s family and looks so removed from everything. It is not a consistent emptiness, but when it comes he feels the only way he can treat it is with drugs. This is something that David struggles to understand, as to why Nic would ruin his life and derail everything for a high. In a bid to understand, David approaches drugged up individuals on the street, medical professionals, even starts consuming drugs himself, all in an effort to feel a semblance of what his son is going through. It is so heartbreaking to see, because while Nic is chasing the high, his family and his relationships mean nothing to him. They just become a source of cash, and things get ugly when David refuses to enable him. As his father, David doesn’t want to give up, but we see the strain of this yoyo-ing between relapse and recovery get to him, where the relationship just becomes defined by drugs and whether or not Nic is using. It is important to note that Chalamet was cast before the success of Call Me By Your Name and Lady Bird, which shows how he got the role because of the authenticity he gives to it, not because he has now become a recognized name in Hollywood. It is easy to see why he already has an Oscar nomination under his belt despite his young age. Chalamet has this ability to reflect on his face exactly what the character is feeling, the emptiness, the struggle faced before the inevitable fall. There is such a sweet vulnerability to him, which makes us want to hug him and protect him — he really is the manifestation of a beautiful boy. He doesn’t go too over the top when he is at his ‘high’ moments, which I think is important, since if we felt that he was acting, the movie wouldn’t have been as affecting as it was. Chalamet made us care for Nic, which is no easy feat considering that Beautiful Boy is split between exploring the perspective of both the father and the son. I have to say the younger versions of him also deliver commendable performances. It was quite nice to see IT actor Jack Dylan Grazer playing the younger version of Nic, though these younger adorable versions of Nic make who he becomes later even more heartbreaking. We start with an event that happens one year later, before jumping to the current narrative, so we see events pan out till that moment. We are immediately thrown into the action as a result, and that prevents this from being something like a slice of life type of movie. Because of the way it starts, everything from that point on is colored by Nic’s drug addiction. Even past events are tainted because you keep thinking that he is going to lose that innocence, relationships are going to be broken. The movie doesn’t chart time for us after that first mention of ‘one year later’ in the beginning, so it does get confusing as you try to figure out where everything is in relation to time. I think that probably is the whole point. Time is only relevant when we are seizing it and doing something with it. Otherwise it is just a drone of days, which is the case for Nic, and for David, it is really just trying to solve what he can today in order to help his son tomorrow. Going into the movie, I never thought I would find myself relating to what I saw on screen. I mean, this is a movie about drug addiction, something with which I don’t have a personal history. But I do have someone in my family going through addiction problems. It is the exact same thing. You think you have helped them, that you have gotten through to them, but it just restarts, over and over again. Just like David, I thought I could solve it, and I wanted to help, but every time there is a relapse, I lose a bit more hope. If we look at A Star is Born, a recent movie that explores addiction, the addiction is not the focus. The focus is on the music they make together, and their partnership and love. The addiction is the aspect that comes between all that, but isn’t something we really think about. Each time Nic relapses, it destroys me, because I want him to get better, I want him to try harder. That’s the problem though, isn’t it? As people on the outside, we can only watch as these addicts we love are lured back to their addictions, and after a while, you just stop trying. I must commend Steve Carell on a very good dramatic performance. It is sometimes hard to see him in a serious light, seeing as how I have watched The Office for most of my adult life (as a side note, this movie features The Office reunion between Carell and Amy Ryan, who played love interests on the television show). There was this particular moment in the movie where he gets so frustrated that he throws his phone, and then the next scene is him trying to find it in the bushes. I wasn’t sure if this was supposed to be funny, but I definitely snickered a bit. There were also these thriller type moments, where I felt I was watching a horror movie instead of a drama. When David discovers his son’s diary of sorts, with his thoughts and feelings about taking drugs, there is this horror-movie music in the background. I wonder if this is done intentionally, to contribute to the mood and landscape of the movie, since addiction in itself is a kind of horror. I guess it is little things like this that took me out of it. What always captures my attention is both Carell and Chalamet sharing a scene together. Those scenes are filled with tension and emotional anxiety, and when the film focuses on those moments, that is when it shines the most. It is a compelling story that I feel I need to know more of, which definitely means I will be getting the books in the near future. It is a decent movie, with good acting and good chemistry between the leads; there just isn’t enough there for it to be great. I think this is due in part to the overload of source material, since they are adapting the story from two books, trying to capture it all into one movie, with the end result being not as focused or tight as it could have been. Thanks for reading! What are your thoughts on Beautiful Boy? Comment down below! The book is great, one of the best I’ve ever read before. Too bad this movie isn’t going to be playing anywhere near me. I’d love to see it. I encountered the exact same problem. It was only showing at cinemas that were nowhere near where I stay. Luckily I had a school field trip that ended nearby, so I met my brother after and we went. This is always the problem with the non blockbuster type movies. Considering how much I love Chalamet, it is a huge lapse on my part that I haven’t watched Ladybird. Was it worthy of all the hype it got? I hadn’t heard of this movie but after reading this, I really want to watch it. Thanks for the great review! Thank you for a thoughtful and thorough review. I plan to watch the movie. Thanks Liz! I hope you enjoy it 🙂 Check back in after you do and let me know what you thought about it.